How you can be ultimately successful in regaining your health, even from long-term health problems that you may be using drugs to control. There is some very important information to know about supplements. If you select and take them correctly, they are effective for long-term health improvement. If you don’t, they can be a waste of your time and money. Supplements have the potential to facilitate real healing and health improvement, but only if used correctly long-term and not just as a symptom reliever. 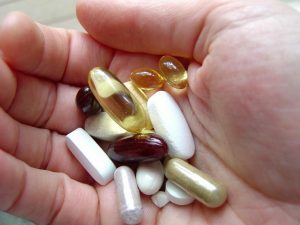 People bought $35 billion worth of supplements in the US last year, but only a tiny fraction of those received a long-term health benefit. What’s the secret to using supplements properly to recover your health instead of just temporary symptom relief? Read on! Stress in the body is different from mental or emotional stress, although mental stress can certainly cause body stress. Body stress is literally “pressure, tension or strain” on physical parts of the body. This can be from physical, structural or chemical causes. For example, when you have an illness (like the flu), your body is under stress from a viral attack. Stress that your body finds overwhelming is the main cause of symptoms and can slow or prevent healing from taking place. Just as you need to reduce the stress on your body by going to bed when you have the flu, your body often can’t heal long-term health problems due to ongoing stress that can’t be reduced or resolved. There are a lot of supplement products that would fall into the “Stress Reduction” category. I’ve always thought of these as “supplies and tools” supplements, in that they give the body functional help to lessen stress (“tools” such as probiotics, enzymes, etc.) or to supply missing substances that the body needs to function (“supplies” such as vitamins and minerals). Because reducing body stress can often result in a reduction of symptoms, these are very popular supplements. However, most people I ask have had the experience of feeling better for a while after taking supplements and then… they stop working, or don’t work nearly as well. This can be because the functional problems (hormone, digestive, immune, etc.) that caused the damage and symptoms in the first place are not addressed by stress reduction supplements. Your body isn’t healing, you’re just covering up the symptoms using natural methods instead of drugs. Body stress must be reduced or controlled as a first step in healing, but just reducing stress may not be all that’s needed to allow healing to occur. Bodies have health problems because some areas have too many damaged or unhealthy cells. This is a simple but important concept. If you have a liver with poor function that’s causing stress, that liver has too many damaged or unhealthy cells making up its structure. If your body was to successfully heal the liver, it would do so by “remodeling” it on a cellular level. It would replace the unhealthy cells with healthier versions of those cells until the overall functional balance of the liver tipped into the healthy range. You’ve observed this remodeling when you’ve scraped your arm— all that new, pink skin. The same basic actions occur inside your body as well. If you have a health problem that isn’t improving or is getting worse, this means your body is trying to remodel the damaged areas but is running into barriers to doing this successfully. Your body may need assistance to help it overcome these barriers. In the clinic, we consider ourselves to be assistants, and we consider the body be the doctor (after all, who knows more about how to heal your body, your body or the best doctor in the world? I’d go with your body every time!). As an assistant, our job is to supply the materials that your body lacks that are needed to successfully remodel the damaged cells. Failing to understand that all healing takes place on a cellular level and that symptom reduction does not correlate to cellular healing is responsible for tremendous wasted time and money. Helping the body to remodel specific areas requires an entirely different classification of supplements. I like to call these “replacement part” supplements, as they are often literally the building blocks for cells that the body has been unable to obtain in sufficient quantity or quality to remodel an area successfully. These products are designed to help with organ support and rebuilding, not stress relief. As such, they aren’t likely to do much short term to relieve symptoms and so aren’t popular at the local health food store. In fact, these supplements usually aren’t sold at the health food store because they don’t help with specific symptoms and because using them effectively requires a high degree of knowledge. Support supplements to rebuild (remodel) an area of your body can’t work if that area is under constant stress (remember the go to bed with the flu example). So, you’d need to use stress reduction supplements along with the replacement part or support supplements to get the long-term healing your body needs. If you take the correct stress reduction and support supplement combination, it works. Your body begins to remodel a long-damaged area and health improves. But then… it all changes! At this point, your body takes its attention off the now-healing and no-longer-stuck area and refocuses on the next area that needs to be addressed. This requires a change in supplements, without which the healing process will come to a stop. For a supplement program to do more than minimal, short-term symptom relief, the program must be changed and updated continually as the body changes. Healing from a significant health problem isn’t a quick process. Generally, your body has been stressed by a problem for years before you ever noticed a symptom. The damage that needs to be repaired can take many years to complete, often because it was many more years in the making. Symptoms are caused by stress that the body can’t control or compensate for. There are many effective ways of helping your body compensate for stress better and thus reduce symptoms. These are called “functional treatments” and include drugs, surgery, stress-reduction supplements, and many other treatments. Though effective for symptom relief, often these do nothing for the underlying damage. If the cellular structure of your body is compromised, these functional treatments may work to reduce symptoms but you’ll have to keep doing them. If the cellular structure worsens, you’ll have to do more or stronger treatments. At some point, the functional treatments may stop working entirely due to the increasing cellular damage. If you maintain your body’s healing on a cellular level, you’ll need less and less functional treatments until you may not need these at all. This is the basis of getting off all drugs. Further, if your body is structurally more stable and healthy, you are much less likely to have health problems in the future. 1 It’s essential to use accurate testing and very knowledgeable professionals to recommend the correct supplements. The trial-and-error system is hopeless on a problem of this complexity. 2. The basic formula is to use stress-reduction supplements in combination with support (replacement part) supplements to take stress off an area and help it to rebuild (remodel). 3. Bodies heal in layers or sequences, because the body compensated repeatedly over the years for the stress it couldn’t heal. This means an effective supplement program needs to be adjusted on a regular basis to keep it relevant and working. 4. In almost every case, some diet and lifestyle changes will be required to reduce stress enough to allow healing to occur. These are very specific stress-reducing changes, not overall “eat healthier” attempts. 5. Often, functional stress from hormones, allergies or nervous system blocks can slow or stop cellular healing despite a correct supplement program. There are specific effective solutions to these problems, but once again it requires accurate testing and evaluation to find and isolate the stress and determine a solution. 6. Treatment programs must be continued long enough to achieve stable health. The length of a program depends on the problem, the intensity and effectiveness of the treatment program and to a large degree the ability of the patient’s body to heal. Given that a cellular healing cycle is three months and that most health problems will require many of these cycles to become stable and healthy, this is not a short process. 1 Overall, I’ve observed that almost everyone with a health problem vastly underestimates the effort and time needed to see it completely resolved. That’s not a wonder, given the pure symptom-relief that passes for most healthcare. Living in a body with health problems reduces your happiness, productivity, accomplishments and usefulness. If there’s a way to avoid this, it is worth almost any amount of effort. 3. My experience has been that it may take a short time or it may take a long time, but if you persist in doing effective therapy and are willing to adjust your lifestyle you will eventually recover your health. 4. We have amassed thousands and thousands of success stories from patients who discovered that it was possible to assist their bodies to successfully heal. This is not an unproven or risky way to get well, it just takes a lot of personal responsibility and determination. No question, the most difficult part of getting your health back is getting started! The way to start is to call the Clinic at 770-612-1100 and make an appointment for an Evaluation Visit. This will take an hour, and we’ll find what is stressing your body, what’s the main cause of this stress and what could be done to start the healing process. You’ll then come back for a second consultation visit to go over all this information, work out the particulars of your program and get started. I’m looking forward to your success and recovery.